Game of Thrones has been a part of our lives since 2011. That's when the show's very first episode, "Winter is Coming" landed, introducing us to the honourable Starks, incestuous Lannisters, and one bewitching young woman married off to a Dothraki Khal. Back then, only a few of the actors on the show had anything approaching mainstream stardom. 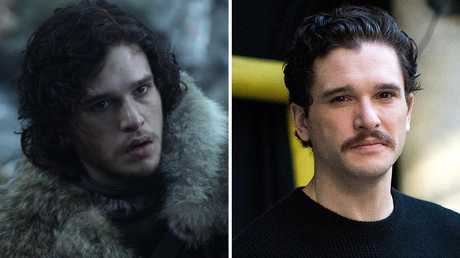 Sean Bean, Peter Dinklage and Lena Headey had all popped up in major films, but no one had heard of newcomers like Kit Harington and Emilia Clarke, since they were cast straight out of drama school. Today, in 2019, the Game of Thrones cast is world famous and more in demand than ever before. 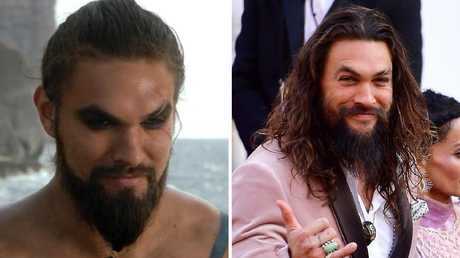 Emilia Clarke is a member of the Star Wars universe, the Stark sisters - Sophie Turner and Maisie Williams - are both X-Men, and Jason Momoa is Aquaman. 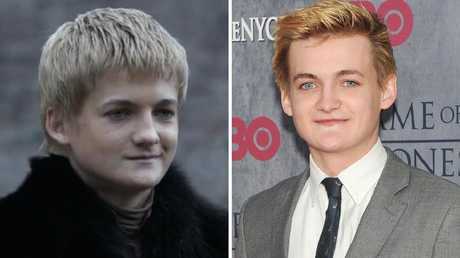 It's exciting, but also jarring to look at the Game of Thrones Episode 1 cast as they appeared back then versus how they look now. In some cases, it's a matter of how much wigs and make up transform the performers on the show, but in others, it's wild to see how much the young cast has grown up. 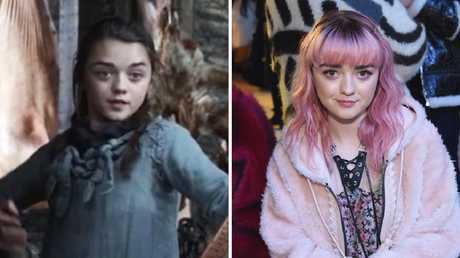 Here's our nostalgic look back at the original cast of Game of Thrones as they appeared in 2011 compared to how they look - and where their careers are - now. Warning: Rickon Stark is grown. Where Are They Now? 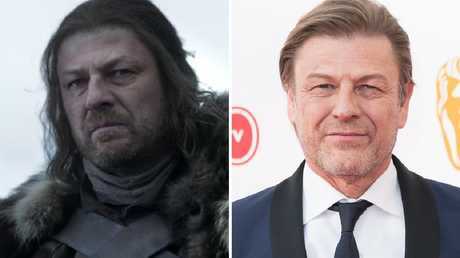 : Although he only lasted one season on Game of Thrones, Sean Bean continues to work in shows like The Frankenstein Chronicles, The Oath, and the upcoming Curfew and World on Fire. Where Are They Now? 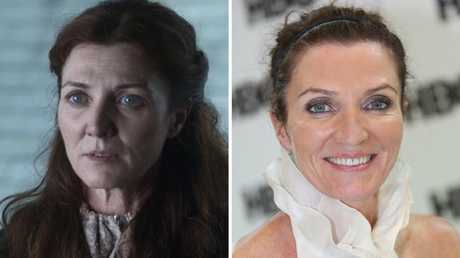 : Michelle Fairley recently starred opposite Jodie Comer in Starz's The White Princess and will appear in Amazon's new series The Feed later this year. Where Are They Now? 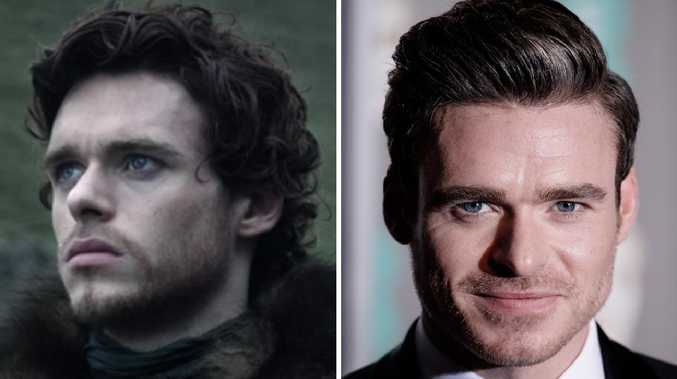 : Scottish actor Richard Madden is enjoying something of a career bump since starring in Netflix's critically acclaimed Bodyguard, which won Madden a Golden Globe. Soon he'll star in the Elton John biopic Rocketman. Where Are They Now? : Harington is now married IRL to Game of Thrones co-star Rose Leslie and on the press circuit for the final season of Game of Thrones. He'll be hosting Saturday Night Live on April 6. Where Are They Now? : Well, besides rocking pink hair, Williams has two films set for release this year, Then Came You and The New Mutants. She'll also be in the final season of Game of Thrones. Where Are They Now? 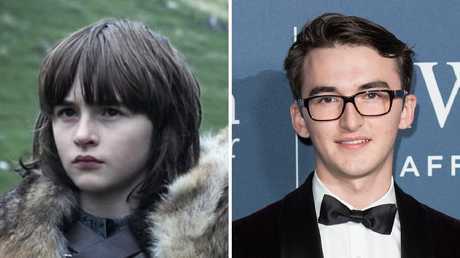 : Hempstead Wright isn't doing much acting outside of playing Bran on Game of Thrones, but that might be because he has been trying to juggle a college education with his acting career. Where Are They Now? 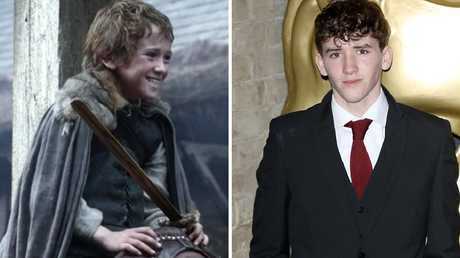 : Even though Rickon perished at the Battle of the Bastards, actor Art Parkinson is doing all right for himself. Only 17, he's starred in the Rock film San Andreas and voiced Kubo in Kubo and the Two Strings. Where Are They Now? 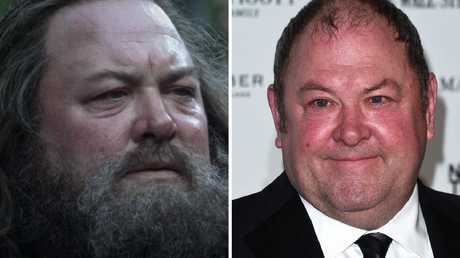 : You may have heard Mark Addy's voice in Mary Poppins Returns, where he played Clyde the Horse. Also, Addy's been racking up a ton of TV credits, most recently appearing in Doctor Who and a 2019 episode of Vera. Where Are They Now? 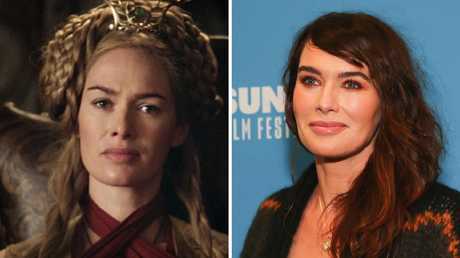 : When she's not sipping wine in King's Landing, Lena Headey is doing voice work for shows like Danger Mouse, Trollhunters, and Rise of the Teenage Mutant Ninja Turtles. Most recently, she starred in the utterly charming wrestling dramedy Fighting with my Family. Where Are They Now? 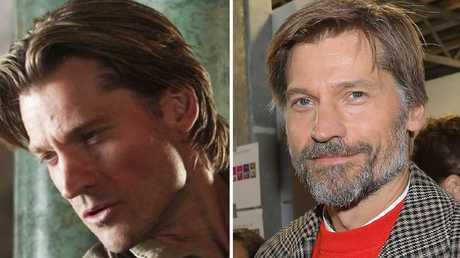 : While Jaime is making his way to the cold climes of Westeros's North, Coster-Waldau is going to be in sunny Los Angeles starring in a production of Macbeth later this year. Where Are They Now? 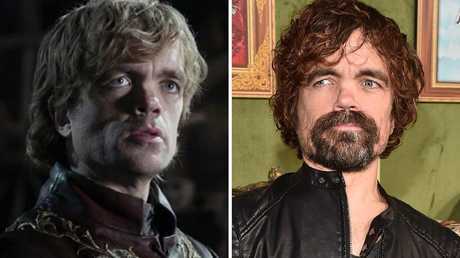 : Emmy winner Peter Dinklage has been mostly busy with Game of Thrones for the last 8 years, but he will be doing voice work in the upcoming animated features The Angry Birds Movie 2 and The Croods 2. Where Are They Now? : So here's something kind of interesting. The photo on the right is actually from 2014. 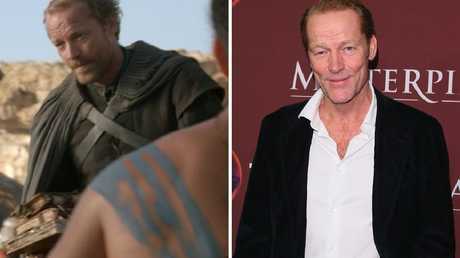 That's when Gleeson left Game of Thrones and retired from acting to focus on academia. He has appeared in puppetry shows, though. Where Are They Now? 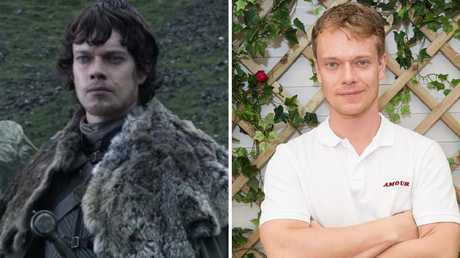 : Alfie Allen has kept busy since Game of Thrones Season 8 wrapped. He'll next appear in Taika Waititi's follow up to Thor: Ragnorak, Jojo Rabbit, and star in the big screen adaptation of Cailin Moran's How to Build a Girl. Where Are They Now? 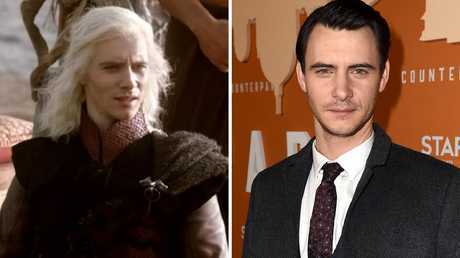 : Harry Lloyd didn't last long on Game of Thrones, but that just means he's been able to appear in a slew of awesome projects. He most recently starred in Starz's Counterpart and has been cast as Professor X in Legion. Where Are They Now? : Emilia Clarke is still reigning as the Khaleesi on Game of Thrones and has crossed over to the Star Wars universe in the prequel film Solo: A Star Wars Story. Later this year, she'll co-star opposite Henry Golding in Paul Feig's London-based rom-com Last Christmas. Where Are They Now? : Well, he's Aquaman. Actually, Momoa is way more than just a DC superhero right now. He's also the star of Netflix's Frontier and one of Apple's upcoming streaming projects See. Where Are They Now? : In addition to his work on Game of Thrones, Glen will be the narrator of upcoming animated film Ice Age: Return of the Mammoth. Where Are They Now? : After leaving Game of Thrones in season 3, Esme Bianco bounced around shows like The Magicians and Supergirl. She also is the voice of Eclipsa Butterfly in Star vs. the Forces of Evil. Where Are They Now? 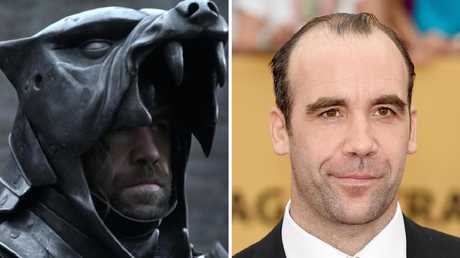 : Scottish actor Rory McCann hasn't been doing a lot outside of Game of Thrones, but we think that's by choice. He's apparently fond of living a transient life on the fringes.